Home > Credit Score > How Much Will One Late Payment Hurt Your Credit Scores? If you’re concerned about how late payments could be damaging your credit, you can check your three credit reports for free once a year from each of the reporting agencies. To track your credit more regularly, Credit.com’s free Credit Report Card is an easy-to-understand breakdown of your credit report information that uses letter grades—plus you get two free credit scores updated every 14 days. Auto pay can be extremely beneficial for those that find themselves forgetting to make their bill payments on time. Auto pay is simply when you authorize the credit issuer or lenders to automatically deduct your monthly payment amount directly from your checking account on the due date. Even with auto pay, it is still recommended that you pay more than just the minimum amount that is due on your credit accounts, so you can avoid pay higher interest rates because of the balances you may carry from month to month. Doing so will also positively affect your credit standing. A downfall to auto pay, however, is that you have to be sure that you have the funds available in your account prior to the date the funds are to be withdrawn. If you don’t have enough to cover the payment, then you may experience fees in addition to the missed monthly payment. Another way you can effectively pay your bills on time to help you credit history and credit scores is to set up payment reminders instead of relying on your memory. Calendar and online reminders on a phone or other mobile device are probably the most popular ways to keep track of what you have to pay and when it needs to be paid. You can also ask the creditor to provide you with online alerts when your payments are coming due. While most account payments are due once per month, it may be in your best interest to instead pay weekly on the account. By doing so, you may find that it is easier to control your overall balances and it will help you pay everything off a bit faster. However, if you cannot afford to make payments weekly, then you should instead consider one of the other options we have already mentioned. that is completely unfair that a “steller” credit score takes a bigger hit than a low credit score. it sounds like a way that the lenders get to screw good, low risk borrowers for a high interest rates. there should be law against it. while i’m at it, there should be a law against credit bureaus selling products, such as credit score monitoring packages. it seems like a conflict of interest. also, isn’t it a major conflict of interest for penny pritaker to be the chairwoman of transunion credit bureau when she ran a crooked, or unsound bank. seems like they should have someone who is honest. the whole credit score business is one of the biggest scams in the history of consumers.it is geared to fleece folks out of their money.and eventually will be rendered meaningless because there will be more people with ruined credit because of these so called credit score programs.we already see how it is affecting the housing market.at its present form,the credit scores are for the banking interest to rip off consumers.and since the banks have bought all three branches of our government-they get away with it. Thanks for your comments! But can you help me understand why the banks would need to use credit scoring to, as you say, “rip off consumers”? It just seems like there are so many ways to “fleece folks out of their money” that I just don’t get how credit scoring helps them do this? It’s because it allows credit companies to have higher interest rates and thus they can charge more for any money provided. The best way to avoid bad credit is to have automatic payments set up. Of course some type of credit monitoring is necessary otherwise people could get away with borrowing loads of money and never pay it back. I do believe though that for a late payment, a 90-110 point reduction is ridiculous. i am currently doing research on this subject because i made a mistake trying to make a payment online and ended up being late 13 days late on a credit card payment, that mistake took me down from an spectacular 811 score on experian to 720, 91 points down, i have disputed this info since i was never 30 days late, but they have have resolved the info to be reported correctly since i was late, banks have the right to report you being late from day one, and since there is no code for late payment 0-29 days late they report it as 30-59 days late, that for me is stupidly unfair. this has been a really stressful situation, i’m losing my time disputing this information and i seem to be getting not even one positive response. if any of you have any advice i’ll take it, since i am in the process of buying a new house and i cant wait years for this info not to affect me anymore. Can someone kindly explain what a “penny pritaker” is. It’s not listed in Merriam-Webster or anywhere else. I think he is referring to Penny Pritzker. The Pritzker family has owned the credit reporting agency TransUnion. HA! Pri”taker”! Because the scores are designed to take from the poor or middle class who have a more difficult time paying their bills (which in plain English means increasing interest rates for the poor or middle class…family folks….creates higher balances, increases debt which creates the possibility of having late payments. … the differences in interest rates perpetuates the possibility of late payments. The interest rates should be the same for everyone and if lenders don’t want to do that they shouldn’t extend credit. Simple. It’s a ridiculous and vicious cycle which makes no sense at all. The 3% should not be rewarded for having money by interest rates. Just a money making scheme because poor and middle class are the mass majority. This is great info … But it seems that no matter what you do the Lenders come up wit sum way to lower your score so they or another lending company can charge you higher interest rates so they can make as money off the borrower they can. Just to maintain nd have your credir look a certain way so you can get approved for credt cards or loans is a job within in its self. Thats you its best to beat them at ther own game and instead of working hard at credit why not BUY YOUR CREDIT You can do that NOw adays and it works.. I did! This process is a joke. They very same people who were involved in the biggest financial meltdown are in charge of your score. Nobody knows the real score and they don’t have to tell you. Try and get a negative item corrected………right. Ah yes tube banks and your credit score your credit worthiness being judged by the banks and the big three credit bureaus, they truly are the moral compass of America lol. Good things happen to bad people and bad things happen to good people! The reality of it all is that sometimes circumstances are out of our control, but for no reason and I mean no reason whatsoever, can we blame our decisions to pay or not pay our bills on time on anyone other than ourselves. If you don’t have the means to pay your bills should you lose or quit your job, GO LOOK IN THE MIRROR. The best way not to fall prey to these bogus assumptions is to make sure no one has that much control over your life. If you’re dependent on others to tell you that you cannot purchase an item (House, car, appliance) that’s clearly because you made the wrong decisions in your life. For the record, I have lived this first-hand. I made bad decisions and suffered the pains of having bad credit, so I’m not preaching from one side of the isle as opposed to the other. I look back and can honestly say that everything relative to my financial condition is a direct result of MY and MY ACTIONS ALONE. I will never let anyone own me the way I felt owned in the past. Take control over your finances and quit complaining because you haven’t done what you needed to do as no one owes you anything. T-DUb, for you to say what you just stated is pure ignorance, plain and simple. You obviously are either trolling or are so misinformed that you should refrain from replying to anything other than a sesame street thread. So, by your logic; and this is simply following your line of thought, it’s someone else’s fault when the company they work for is fleeced for every dime they have by upper management, and is forced to close it’s doors and fires everyone. Because of this, many people end up losing their homes because they lost their source of income to pay for said homes. This is THEIR fault, and they made bad decisions financially so they can’t support THEIR family because some other idiots caused an entire company to go under and cause 10k people to lose THEIR jobs. Totally everyone else fault. The only way you are not OWNED by someone else, is if you are born into money, win the lottery/etc. otherwise you have to do what everyone else does, and work for a living. T-DUb, do us all a favor and jump of a ledge, or please stop breathing period. Every breath you take is wasted, instead of going to someone that actually matters in this world. Unplug, and go away fool. Dan – it’s fine to disagree with someone vehemently. Pick apart their arguments all you want… do it mercilessly. But suggesting that someone die – even tongue and cheek – because you think they are wrong is both childish and undermines your credibility… and it will get your post deleted, and you banned, if it happens again. f you are broke it is your fault, unless you had someone rob you like clean out your account without you knowing. The thing is a rainy day fund if you don’t have one that is your fault and will make losing your job that much worse. I just lost my factory job in 2011 made $20 hour. had $30,000 in bank to help get by and went to drywall company, worked for free for 3 months. Now making $10,000 a month never went to school and work when I feel like it. That simple, did not worry no stress and moved on. And if I loose this job I will just do the same thing but will have a huge rainy day fund and can sit back and relax. Be ready for the unexpected at all times and you will be fine. Or live pay check to pay check you chose. My stellar credit score just took a big hit because my ex-husband was late with his car payment. His credit is so poor he cannot refinance his vehicle into his own name so I’m the victim of his poor financial planning. I’m a single mom, trying to hold onto the house so that our child isn’t further disrupted by the divorce and now I’m penalized because of another one of his poor decisions. There should be laws protecting innocent ex-spouses. It’s there decision to work at that company, so indirectly, Yes it;s there fault. Did he miss the part where I said that bad things happen to good people? As in Sandra case, she trusted and loved her husband, he missed a payment and it negatively impacted her. I’m sure Sandra is a good person, and no it wasn’t her who missed the payment. However, if she would have kept her finances seperate, there might be a more positive outcome for Sandra. By the way, Sandra, I mean you no harm or disrepect, I’m just saying many married people have experienced what you described. Dan obviosuly wants someone to pay for his decisions, be responsible for his actions and follow his misguided advice. One final thought, if I were to follow Dan’s advice and Jump off a bridge, who do you think would be responsible? I would argue, most of the world would say that I am? However, under Dan’s theory (which makes no sense whatsoever), he should be, because I followed his advice. I bet if he were to defend himself in court over my decision to end my life based on his recommendation, that he would be singing a much different tune. Thanks Dan for validating my point, that we all are and should be held accountable for the decisions we make….for the record, I choose to live and breathe, so my decision is to keep on keeping on! Terry, I understand what you’re saying, and I agree up to a point. But I think you’re taking it way too far. The only actions we can control are our own. In that you’re correct. And we’re responsible for our own actions; you’re correct there, too. However, we’re often affected by the actions of others, and we cannot control what others do, only how we react to the situation. Sandra can’t control what her husband did to mess up her credit score; all she can do is try to manage the situation it caused. Dan can’t control what the morons that closed his company did; he can only try to manage the damage caused by it all. Nowhere is it written that people have to assume responsibility for the mistakes of others – only for their own responsibilities. It’s okay to get mad when someone does something that affects your life negatively. Then you figure out how to manage the situation and move on. It’s your decision whether to hold a grudge or let it go. By the way, Dan, being “born into money” doesn’t guarantee a darned thing! All kinds of things can happen to that money before you ever inherit it, I promise you. Nothing is more humbling than being born into a life of privilege and then suddenly living a life of poverty as an adult. You know all that nonsense about “building character” and all that? It’s actually true. Unpleasant, but true. One of the very first things that the young man that married my sister told me was “I’m going to be rich! From my grandma! She’s dying!” He was grinning with happiness from ear to ear with joy that the old lady was going to die soon. Well, I’m sure he was very disappointed that it took her a whole five years to kick the bucket. I’m sure he never visited her even once. And then when she finally did die, he only inherited $97,000, but that was much more money then than it is now, that was in 1984. And then only two and one half years later, he and his wife were in bankruptcy court. PS: That was just the first time they were in bankruptcy court, they’ve been in again, because they are slow learners. Took a hit of 90 points to my fico score because of an error I made online with paying my monthly bill.I usually pay the entire amt but for some unk. reason I only paid the “statement balance”.I thought that my balance was zero BUT instead it was $27.00.Being during the holidays I was quite busy and negelected to open my BOA statement for Dec.Lo and behold JAN rolls around and I find out I have been reported as being 30 days late.Of course,Im thinking this must be a mistake as I have not used this card since October.After looking into my payment history I noticed my error.I immediately contacted BOA who quite frankley did not want to hear anything I had to say.In fact,I was scolded by a BOA CSR for the suggestion that they retract the negative as I was asking them to be “decietful” in their reporting.I suggested no such thing.In any event BOA will not assist even if your payments with them have been exemplary over the years. If this were me, I’d try again and see if I couldn’t find someone else more willing to listen! Gerri, any suggestions as to what department may have the auth to override the initial decision.I made several phone calls,spoke with an alleged supervisor but was treated the same by all,as If I were a pariah,not a customer who has had a long standing relationship with BOA. I appreciate the suggestion and any advice you may have. Paul – Take a look at the investor section of the bank’s website. You should see an annual report which lists executives. Look for the name of the person in charge of the card program and a corporate address. The other option is just to keep calling customer service and see if you can’t find someone more cooperative. I know this will be an exercise in frustration but I would think eventually you’d get results. I see no reason why they can’t do this for a good customer. Be extremely polite and see if you can’t get someone on your side. If I were to write a letter to the credit repairing agency and send supporting doc’s showing my payment history for not only this account but others,showing the pattern of paying the balance in full,would that help my situation?To be hit with a 90 point deduction is to steep a penalty for someone who is always on time with payments.It just seems very unfair. I doubt it. The credit reporting agencies will just check with the bank and if they are reporting it late then they will confirm it as correct. My story is similar – I have been making regular payments for years together on the BoA card. In December, when they changed their systems and had their payments systems unavailable many times, I got delayed in making payment on a balance of around $140. I did make the payment in the next month and cleared up the balance, but they reported the delay, which I found out when I was looking to refi my mortgage. All efforts to dispute the report so far have been in vain, even though the miss was caused by their payment systems being unavailable. Not sure what will get this monkey off my back – my credit score plunged almost 70 points. I have a large credit card balance. I make more than the monthly payment requires and have been trying to pay it down. I had a payment due on Oct 19. I called to pay it on Oct 14 and told them to set up Nov payment and make it payable Oct 19. I was quite specific that it was Nov payment. They record calls. They are now saying I’m a month behind…I made two payments in Oct and none in Nov. I’ve asked to pull the the recording so they can hear that I specifically requested this as a Nov payment. They will not pull the recording and although they have not reported to a credit agency….they will soon if I don’t make the additional payment. What can I do? I can’t afford a second payment. They won’t pull the recording of Oct 14 and are insisting that I’m behind one payment. Is there any recourse for me? I’ve asked to record their calls and they won’t speak to me. Yet they are recording me and if I tell them don’t record me, they won’t speak to me. Is there an agency that regulates this? Someone I can report them. Ugh. First thing to know is that federal law requires them to credit payments as of the date they are received, with a few exceptions. If the person you talked with that day could not accommodate your request, though, they should have told you that. My daughter and son-in-law were pre-approved for a loan to buy a house. My daughter’s husband overlooked a credit card payment of $280 (that was all that was owed) for 90 days so that they lost their pre-approval and his credit score went down which effects their mortgage rate. Her husband remembers paying it online with his bank, but it did not go through for whatever reason and wasn’t paid. Is there some way that this can be resolved quickly now that it has been paid in full and the balance is $0? Is there something that can be done so that the credit card company would rescind their notification to the credit card company of the late payment so that his credit rating would go back to what it was? If so, how long would that take. They are to close on this house in early May. The only thing he can do is to appeal to the credit card company to make a goodwill adjustment to the reporting. It may be that he thought he made the payment but never hit the submit button. Hopefully if he has otherwise paid his bills on time they will work with him, but they aren’t required to adjust the reporting if it’s accurate. I cannot believe that a 30 day late stays on your credit for 7 years. That is almost as long as a bankruptcy. Even tickets drop off your driving record after 3 years. Things happen, mail is lost, companies hold your check (even when they say they don’t) I have been told by credit card companies that it takes sometimes up to 14 days to post a check to your account. This needs to be changed when it is such a big impact on your credit and your life. Car loan and past credit issues. 1. Had a tax lien withdrawn from credit reports two years ago. 4. Credit card judgement no long on reports. I learned a valuable lesson from my credit cards and have not been late on a credit card in more then 8 years. None of the bad credit card reports remain on my reports. I have no Judgements, or Liens on the report anymore. I currently have 20k in credit card limits, but between all of them I have less then 500 dollars of debit. I actually pay all my credit cards off each month. If I cannot afford to pay it off, then I do not buy it until I can. I am in the final months of a car lease. I did not qualify for top tier for that one. I was in the second tier. Never late on the payments. I am now in the process of going for my second car lease and was wondering if I could quality for the top tier? Would a late car payment from 2005 still hurt my chances of top tier? I am not sure if the late car payment from 2005 still remains on my report or not as I have not. It should fall off after seven years. It’s now 2013, so you’re just over the wire, it shouldn’t be on your credit report any more. 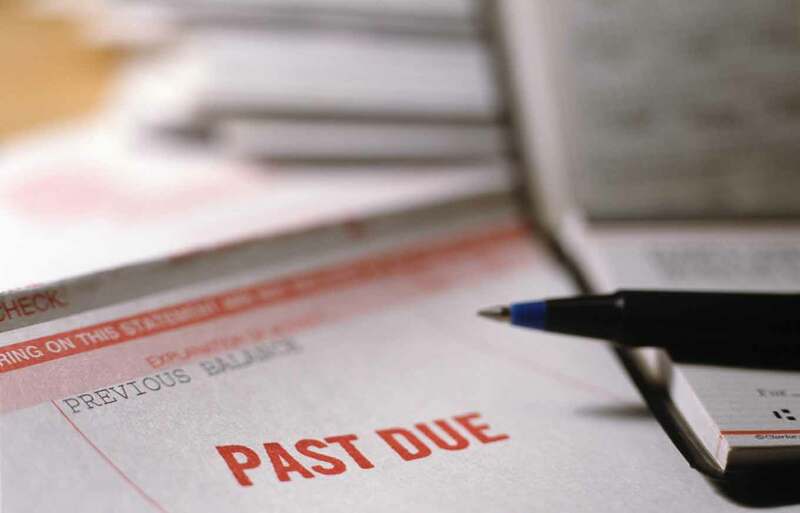 Billy – Late payments remain for 7 years from the date you were late. I’d suggest you get your credit reports to make sure these older problems are no longer reported. And congrats on all the progress on your credit scores! By the way, we wrote about auto loans and credit scores recently here. The same principles apply to leases. This credit score rating is a complete scam. I returned an item and the creditor never updated my account so, now I am being hit with a 30 days no payment. I’ve disputed 2 months ago and it’s still on my credit report. That mistake sent my credit score from 800 to 720. This system is totally corrupt and insane. JR – Did you dispute the billing error (not crediting the return properly) with your credit card issuer in writing? If so, then you should be protected from damage to your credit reports under the Fair Credit Billing Act. If you only talked to the card issuer over the phone, then you don’t have those same rights, but I’d still raise heck if I were you. You might also try filing a complaint with the Consumer Financial Protection Bureau. Typical class warfare with credit handling. Spread the wealth. The lower a credit risk that you are, the more difficulty that comes your way when mistakes are made. People with good credit subsidize the sub-prime lending, of which the risk to the lender is mitigated by the taxpayer becoming the de facto guarantor via a government bailout. Yet our government is once again pandering to the big banks under the guise of affordable home ownership. Completely disgraceful as The United States has become a post-Constitutional republic guaranteeing the lifestyles of the non-producers by confiscating the liberty and private property of the producers. I became sick last year around this time. I couldnt work, my credit cards and rent became a financial burden quickly. My apartment lease was up in July 2012, I paid the arrearage after returning back to work June 2012. I paid off all of my credit cards Jan 2013. My credit score improved from last year it was 528- 2012, earlier this year after paying off my credit cards off and keeping 1 open, but using this credit card, it was 637. I check my score last month and now its 528 again. I don’t know what to do now. I cant get an apartment again because landlords use the crediting system to determine whether they will rent to you or not. I am a second year grad student with a really good job. I dont know what to do about these credit issues. I am homeless and need some assistance with my financial health and future. Any suggestions are greatly appreciated. So sorry to hear what you are dealing with. Quite a few credit counseling agencies offer free help with these kinds of issues. I’d suggest you start there. NFCC.org can provide a referral to one in your area. I hope you’re able to find the help you need to turn things around. Rent a room. save the extra cash. Or rent from an individual that does not check credit. Believe me, its not the end of the world. They want you to think that so you will never be late with a payment. I recently missed a payment with JCP or GE Capitol. They graciously agreed to have the late payment removed from my credit report. Credit score dropped significantly when this happened and I am wondering if your score goes back up as fast as it went down? I’m in need of a new car and I want the best loan possible, so I’m waiting on my score to go back up again. Your credit reports and scores are compiled when they are requested. So as soon as they notify the credit reporting agencies that information should not be reported then the next time your credit report or score is requested it should ‘go back up.” The correction could take up to six weeks. You may want to sign up for Credit.com’s free Credit Report Card. https://www.credit.com/free-credit-score/ You’ll get a free credit score updated monthly so you can get an idea of when that negative info is no longer reporting. And congrats! Good for you for speaking up. It really depends on whether or not the credit card issuer reports the late payment to the credit reporting agencies. In most cases, credit card issuers only report late payments after they go 30+ days past due — and will report the late payment on the 31st day. In which case, since you were only one day late, it’s unlikely that it would show up as a late payment in your credit report so you’re probably safe on this one. So you were not 30 days late in April? If that’s the case then I would suggest you file a complaint with the Consumer Financial Protection Bureau and see if that takes care of it. Let us know! Hi Gerri, I was a bit upset and I realize my initial post is not completely clear: Item was purchased 12/30, statement came in January, I mailed out payment in full in February – which they say the didn’t receive. In March I saw they didn’t post my payment so I called and paid in full over the phone. So according to them it was more than 30 days by March due to the lost February payment. This is what showed up flagged in April on the CRA reports. Whether it was the USPS or their own mail room, it is absolutely not my fault the payment was lost. This ought to be a clear case for a “goodwill” removal. Apparently Citicorp handles Best Buy. I wish I could find out the appropriate go-to person high up in their food chain to whom I can write a letter. In general, the credit reporting we currently have in place in the USA is a bit “Gestapo” extreme if a paper payment can be lost and you pay the very next month and get flagged. My excellent credit history should not sustain a tarnish over this and we ought to have better protections in place to protect us from such abuse! Again I wish I knew who to write to. Anybody have inside info? Unfortunately it will hurt your scores, especially in the short term. It depends on everything else in your credit reports. Over time, it has less impact as the article explained. Keep paying everything else on time and hopefully it won’t be too significant a set back. It doesn’t hurt to ask. This is called “reaging” and we explain it here: What Is Re-Aging & Can It Help Me? In many cases, apartments don’t report to credit-reprting agencies. However, collection agencies typically do, and a collections on your credit reports is a serious negative and could hurt your credit card. (Failure to pay also leaves you vulnerable to a judgment, which could eventually result in having your wages garnished.) We encourage you to free annual credit reports and to get your free credit score from Credit.com. That way, you’ll see what’s affecting your scores and how you can improve them. We can understand your frustration. They are not obligated to remove it. The good news is a 30-day late pay is not nearly as serious as a later one, or as multiple late payments. But small amounts can cause big problems. We wrote about it here: A Debt Collector Came After Me for $8.97. You can get a rough idea of the impact of the late payment by keeping an eye on your credit scores. Here’s how to monitor your credit score for free. Most creditors will just get a score unfortunately. But some scoring models will give less weight to an isolated one-time incident, especially as it ages. Do you know what your contract says about how to cancel (possible it has to be in writing or within a certain time frame)? And has it been sent to collections already? Wonder person used my credit for loan car and they start payment late and I don’t want got bad credit so f I can change them name for payment without my credit cuz I want keep clean my credit? An $8 missed payment dropped my FICO by 60 points. Took a year for it to get back up 60 points.